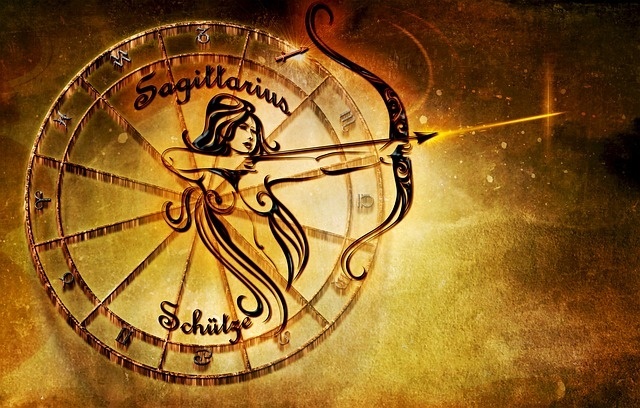 Weekly Sagittarius horoscopes for the week ending 26th May 2018 – with a difference! We tell you the planetary weather, and you decide how you will plan around it! Will you take an umbrella? Will you dance in the rain? Or will you fall in a puddle? Same weather, different outcomes! This astrological weather report for the week ending 26th May 2018 is for people with predominantly Sagittarius energies in their chart. For example, this could be if Sagittarius is your sun sign, rising sign, or moon sign. By seeing what zodiac sign the moon is traveling through, we can work out which areas of life you will instinctively reflect upon for a day or two, and how the energy “weather” will interact with you. The moon in Leo sees you instinctively seek new adventure and to climb out of the box you feel trapped within. However, unexpected practical obligations keep rearing their ugly head, and you feel conflicted about your priorities. Additionally, you may find yourself in an argument about the fundamentals of a new idea you are pursuing. Also, at this time, you are entering into a period your intuition seeks to commit to exploring the potential of committing to a significant other. When the moon drifts into Virgo, you find your instinctive focus drifting to your public image and achieving your life goals. Potentially, this could coincide with an unexpected boost seen in the area of your life dealing with practical matters, your health, and your day job. Nevertheless, this could create a conflict with a significant other. An opportunity may arise for you to receive a minor financial boost from an outside source. However, you will need to make an effort to obtain the benefits. As the moon travels into Libra, your instincts draw you to connect with friends and the broader community. Also, this could be enhanced by how you currently feel you have the gift of the gab, and you can say what you want and mean with ease. It could be this draw the attention of a significant other. Nevertheless, you may long to connect with a significant other, but it will mean diving into a new level of intimacy. Enjoyable now, but what will be in the long run? Also, at this time, you are entering a period where time spent alone in solitude will open up opportunities for you to visualize a more secure foundation for your life. The moon moves into Scorpio, and you instinctively feel a desire to spend time alone, concentrating on spiritual pursuits, and general self-care. However, you may think this directly opposes how you feel you must remain alert to any unpredictable events that rear their head in your day job, or with your health. Therefore, be careful you don’t allow this to make you moody and subject you to entering into aggressive conversations with other.